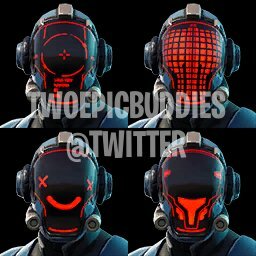 Home » Fortnite » Fortnite Guides » Fortnite Blockbuster Challenges Guide – New Mystery Skin – Battle Pass Season 4! Fortnite Blockbuster Challenges Guide – New Mystery Skin – Battle Pass Season 4! Find out all you need to know about the Blockbuster Mystery Skin in Fortnite Season 4! 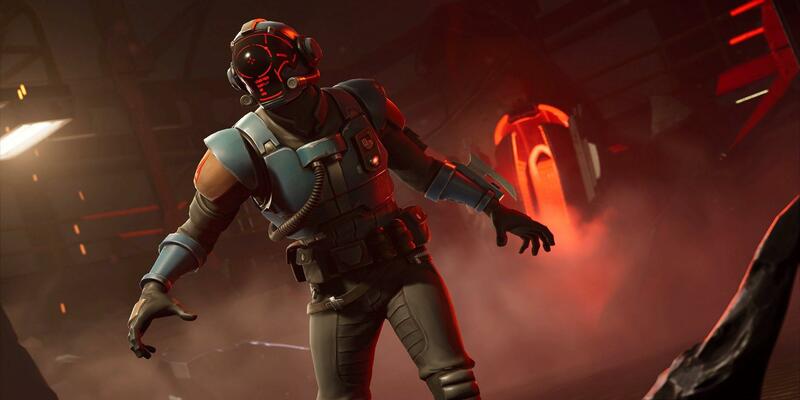 Battle Pass Season 4 for Fortnite brought a lot of new fun additions! The new skins are awesome, and with the first and final Legendary skins you can level them up and gain awesome new armor to show off your progression in the game. Sprays have also been added, which allow you to leave your mark on walls and floors! Another interesting addition is the Blockbuster Challenges. If you can complete all of these challenges you will unlock a MYSTERY legendary skin for yourself! If you've been solid at completing your battle pass in the past few seasons then this shouldn't be a problem for you. I imagine they added this as a way to keep parts of the battle pass a surprise due to all of the data-mining that occurs whenever they add a patch. The BlockBuster skin is apparently going to b called “Alpha” or “Beta”. This is not confirmed but this guys friend works for Epic Games and has had a history of Fortnite leaks all of which were true and that’s what he said. I just got season 4, and I’m 3 challenge weeks late. 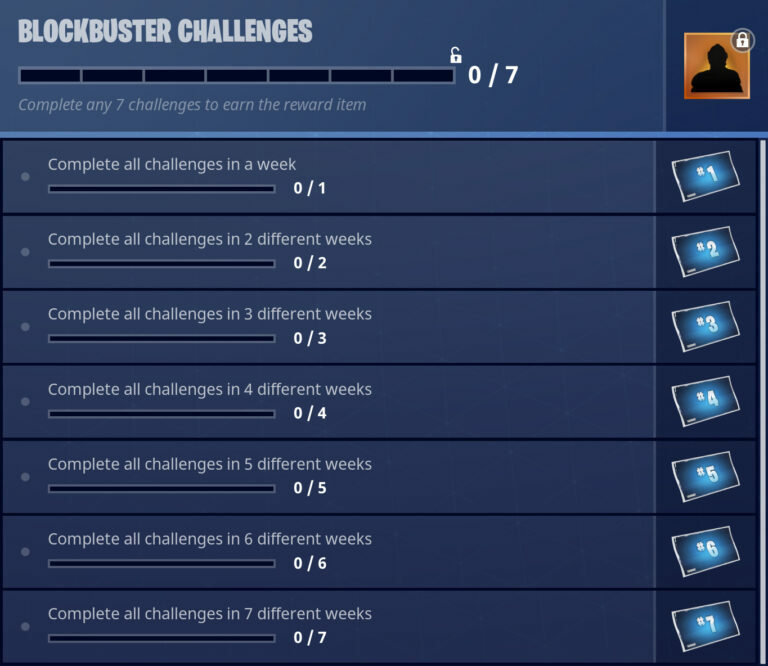 If I finish all 3 week challenges in 1 week will I still complete the block buster challenge or do I have to wait till next week to finish week 2? You can complete them all in one week, it doesn’t matter when you complete them. Yes you can, you can complete it whenever as long the season is still going! If I have the free battlepass, and just buy after, this challenges just start when I have the paid one? Or it continues from where I am in the free? Do you have to complete all of the week’s challenges in that week to get the blockbuster challenge? Or will you still get the #1 reward if you complete all of the challenges for week 1 after week 2 has started? No, you can complete them whenever you can. You don’t have to complete them immediately, as long as the season isn’t ending. By different weeks does that mean you have to leave a challenge or 2 for the next week? No, it’s referring to each challenge week. You get a new set of challenges each week, so you’ll need to finish each of those weeks.